Scarfs, hats & other hair accessories There are 53 products. Playful, cute and adorable. 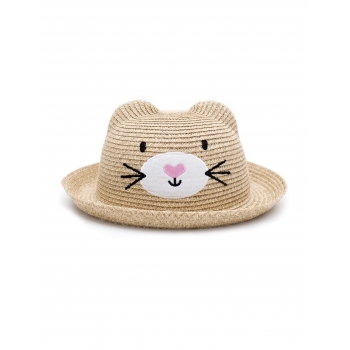 This lovely cat hat from Billy Loves Audrey combines classic lines with a touch of whimsy; capturing the imagination of toddlers and kids around the world. The coolest look for hot summers. 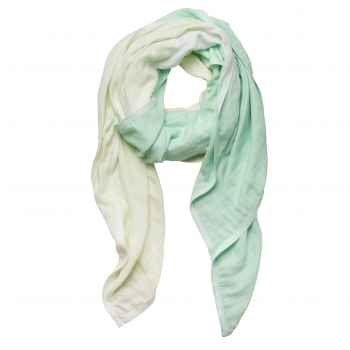 Every mommy will immediately fall in love with this beautiful scarf swaddle by Marloe London. 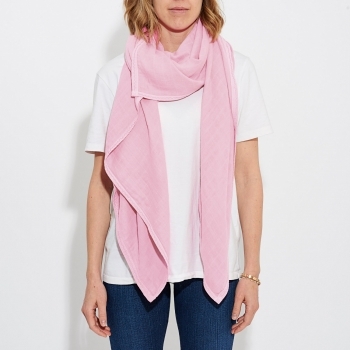 The powder pink muslin has a pink embroidery and is a real eyecatcher. 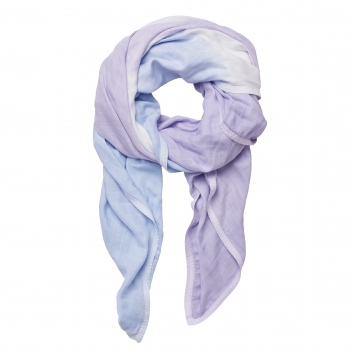 The luxury accessory for mothers is chic, versatile and practical. 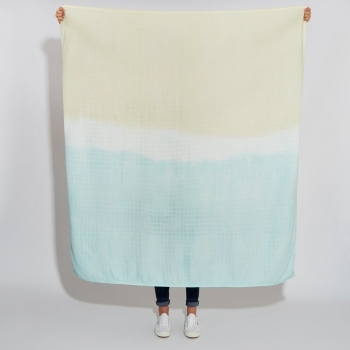 Use it as a scarf, a travel blanket, a playmat, a buggy or car shade, a changing mat, a breastfeeding cover or even as a sarong. 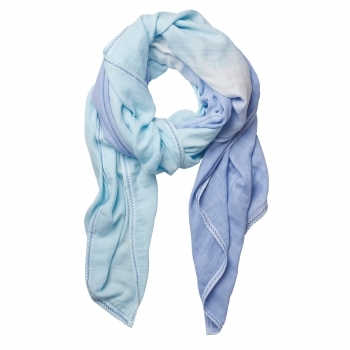 Every mommy will immediately fall in love with this beautiful scarf swaddle by Marloe London. 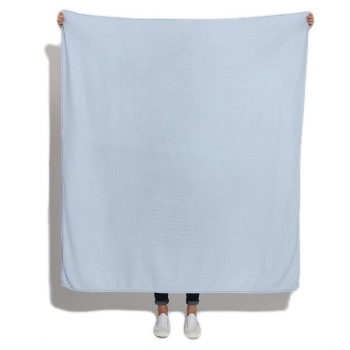 The powder blue muslin has a blue embroidery and is a real eyecatcher. 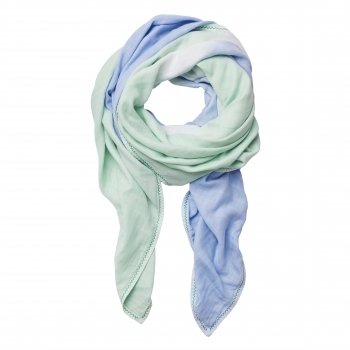 The luxury accessory for mothers is chic, versatile and practical. 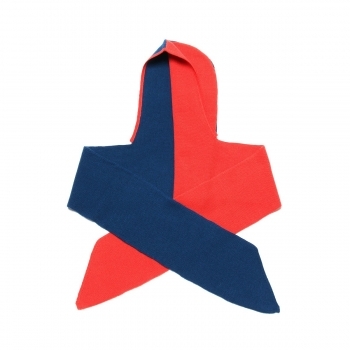 Use it as a scarf, a travel blanket, a playmat, a buggy or car shade, a changing mat, a breastfeeding cover or even as a sarong. It’s not just a scarf… but also a hood! 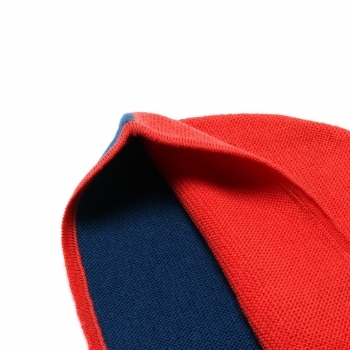 With this smart onepiece in red and blue finest merino wool your kids will never be forgetting their scarf nor their hat. A functional and stylish solution! It’s not just a scarf… but also a hood! 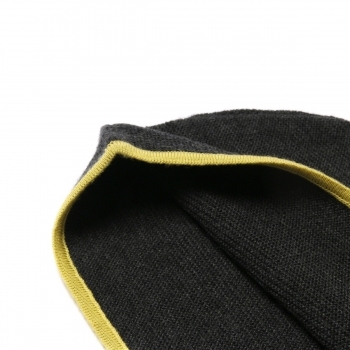 With this smart onepiece in dark grey and yellow finest merino wool your kids will never be forgetting their scarf nor their hat. A functional and stylish solution! 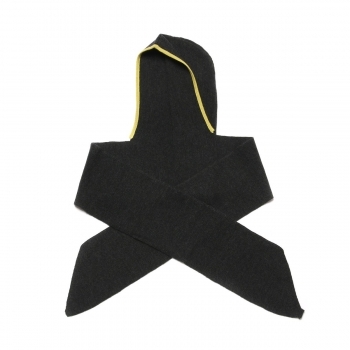 It’s not just a scarf… but also a hood! 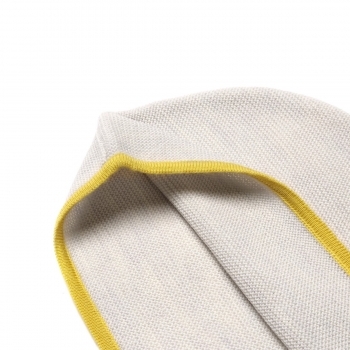 With this smart onepiece in light grey and yellow finest merino wool your kids will never be forgetting their scarf nor their hat. A functional and stylish solution! 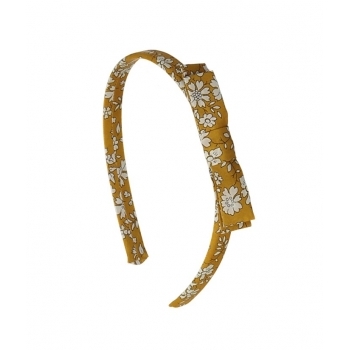 Your little girl will love this stylish headband. 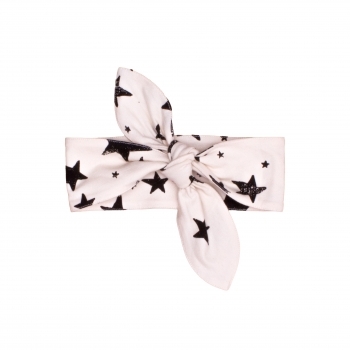 The bright pink neon stars are perfect for sunny days. 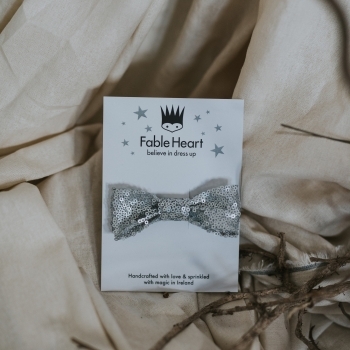 Your little baby girl will love this stylish headband. The cool black stars are perfect for every season. Cute gift set with 4 hair clips. The set includes a mini tutu tulle hair clip in pink, a mini double bow hair clip in pink liberty fabric, a rose golden cloud hair clip and hair clip with two rose gold glitter hearts. Luciole & petit pois products are all handmade. Cute gift set with 4 hair clips. The set includes a mini tutu tulle hair clip in neon pink, a mini double bow hair clip in Betsy liberty fabric, a golden cloud hair clip and hair clip with two golden glitter hearts. Luciole & petit pois products are all handmade. Cute gift set with 4 hair clips. The set includes a mini tutu tulle hair clip in gold, a mini double bow hair clip with neon pink dots, a fuschia cloud hair clip and hair clip with two bronze glitter hearts. Luciole & petit pois products are all handmade. Cute gift set with 2 hair clips and a little brooch. The set includes a Tutu hair clip in pink, a Fox hair clip in gold and a glitter heart brooch in rose gold. 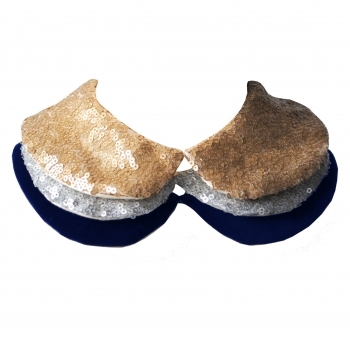 Luciole & petit pois products are all handmade. Cute gift set with 2 hair clips and a little brooch. The set includes a star hair clip in rose gold, a Cat hair clip in rose gold and a glitter heart brooch in bronze. Luciole & petit pois products are all handmade. Cute gift set with a hair band and a little bracelet in rose. The set includes a Tutu hair band in pink and a bracelet in Liberty Capel rose with glitter flower pendant. Luciole & petit pois products are all handmade. Cute gift set with a hair band and a little bracelet in ocre. The set includes a Tutu hair band in ocre and a bracelet in Liberty Capel ocre with glitter cloud pendant. Luciole & petit pois products are all handmade. 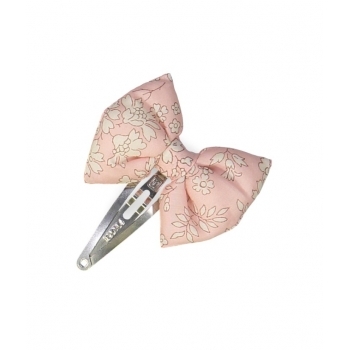 Lovely bow tie hair clip with Liberty Capel Rose fabric sewn on a 5 cm snap clip. 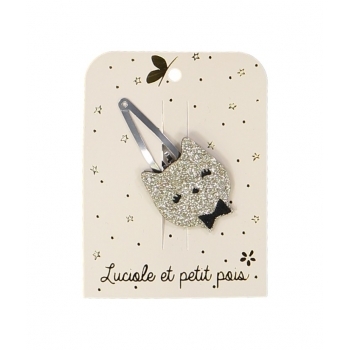 Luciole & petit pois products are all handmade. Lovely bow tie hair clip with neon pink dots sewn on a 5 cm snap clip. 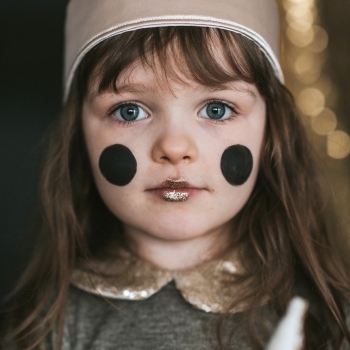 Luciole & petit pois products are all handmade. 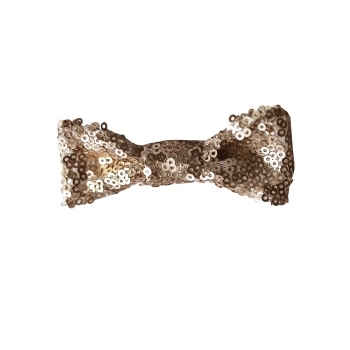 Cute little double bow tie hair clip with Liberty Capel Ocre fabric sewn on a 4 cm snap clip. 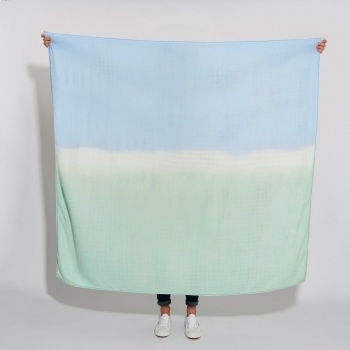 Luciole & petit pois products are all handmade. 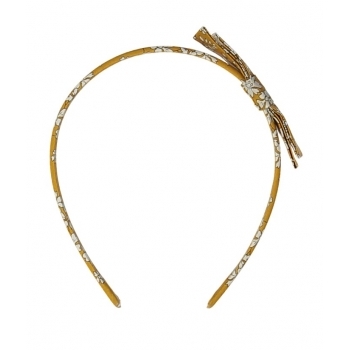 Cute long bow hair clip with Liberty Capel Ocre fabric sewn on a 4,7 cm alligator clip. 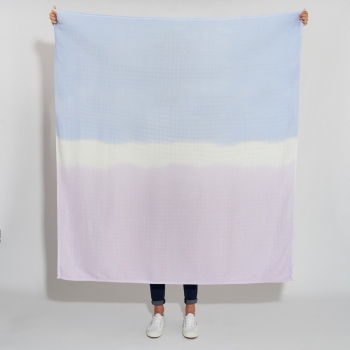 Luciole & petit pois products are all handmade. Lovely set of two mini bow tie hair clips with Liberty Capel Rose fabric sewn on a 3 cm snap clip. 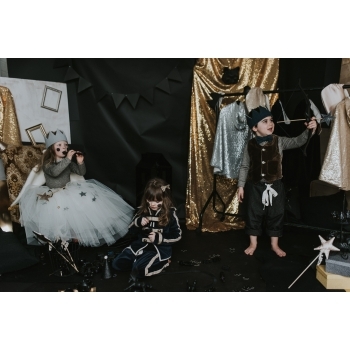 Luciole & petit pois products are all handmade. Lovely set of two mini bow tie hair clips with neon pink dots sewn on a 3 cm snap clip. 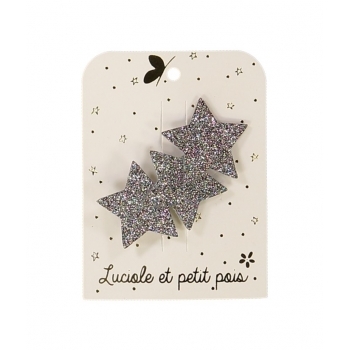 Luciole & petit pois products are all handmade. 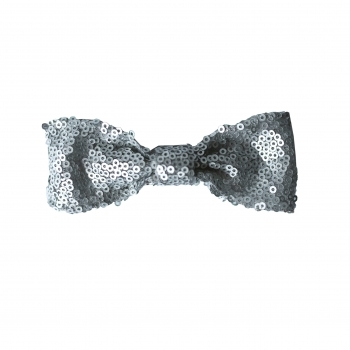 Lovely elastic hair band with neon pink dots on the fabric bow. 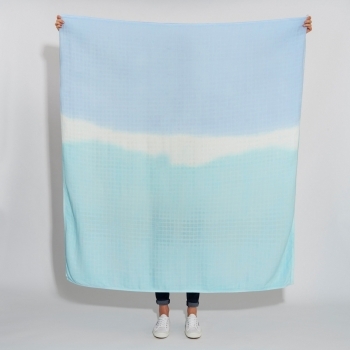 Luciole & petit pois products are all handmade. Lovely set of 2 elastic hair bands with golden glitter bows. Luciole & petit pois products are all handmade. Lovely hair band with little Kimono bow in Liberty Capel Rose fabric that will definitely add a touch of fantasy to your daughter’s hairstyle! Luciole & petit pois products are all handmade. Lovely hair band with little Kimono bow with neon pink dots that will definitely add a touch of fantasy to your daughter’s hairstyle! Luciole & petit pois products are all handmade. 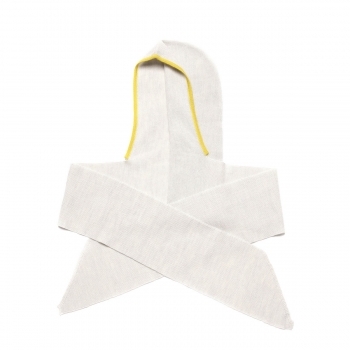 Lovely hair band with little Kimono bow in Liberty Capel Ocre fabric that will definitely add a touch of fantasy to your daughter’s hairstyle! Luciole & petit pois products are all handmade. Lovely rose glitter hair band with little Kimono bow that will definitely add a touch of fantasy to your daughter’s hairstyle! Luciole & petit pois products are all handmade. Lovely navy glitter hair band with little Kimono bow that will definitely add a touch of fantasy to your daughter’s hairstyle! Luciole & petit pois products are all handmade. 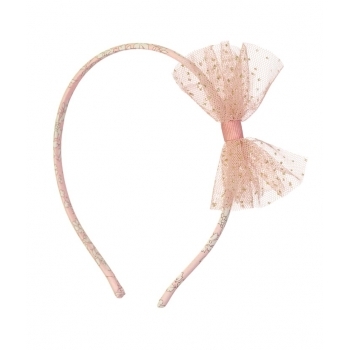 Lovely bronze glitter hair band with little Kimono bow that will definitely add a touch of fantasy to your daughter’s hairstyle! Luciole & petit pois products are all handmade. 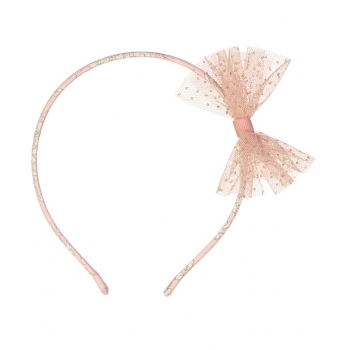 Lovely thin tutu hair band in soft pink liberty fabric and with a tulle bow in pink. Luciole & petit pois products are all handmade. Lovely thin tutu hair band with two wool pompoms in soft pink and cream. Luciole & petit pois products are all handmade. Lovely glitter hair clip with a rose fox, sewn on 4 cm snap clip. Luciole & petit pois products are all handmade. Lovely glitter hair clip with a golden cat, sewn on 5 cm snap clip. Luciole & petit pois products are all handmade. 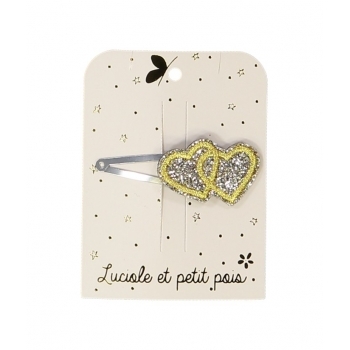 Lovely glitter hair clip with two golden hearts and a yellow embroidery, sewn on a 5 cm silver snap clips. Luciole & petit pois products are all handmade. Lovely glitter hair clip with a golden crown and a yellow embroidery, sewn on a 5 cm silver snap clips. Luciole & petit pois products are all handmade. Lovely tutu hair clip with tulle fabric in soft pink with little golden dots sewn on a 5 cm snap clips. Luciole & petit pois products are all handmade. Lovely tutu hair clip with tulle fabric in neon pink with little golden dots sewn on a 5 cm snap clips. Luciole & petit pois products are all handmade. Lovely tutu hair clip with tulle fabric in cream with little golden dots sewn on a 5 cm snap clips. Luciole & petit pois products are all handmade. Lovely hair clip with three glitter stars in rose, sewn on a 5 cm alligator clip. Luciole & petit pois products are all handmade. 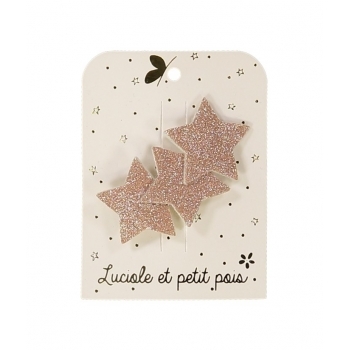 Lovely hair clip with three glitter stars in bronze, sewn on a 5 cm alligator clip. 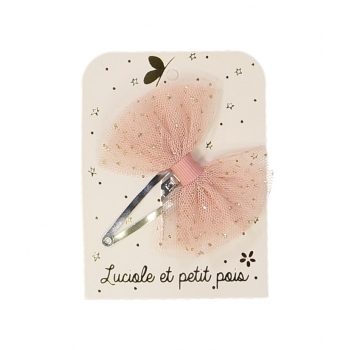 Luciole & petit pois products are all handmade.